The start of the Silver Age! This year* introduces the formation of the Fantastic Four, the Hulk, Spider-Man, Ant-Man, and Thor. It's a pretty big year! There's no interaction between titles at this point, with the exception of Strange Tales's Human Torch stories and the main FF title. Even that is something of an innovation if compared to DC solo characters and their JLA appearances. Skrulls are first introduced here (we've seen some retroactive appearances prior to this, but this is the first published appearance). The Sub-Mariner's first modern appearances occur here. Commies were pretty much the #1 threat at this time. *Actually the FF's first issue was November 1961 but since it was basically Marvel's only super-hero comic for that year and since my early FF issues are all bundled in one trade, we're starting the categorization at 1962. 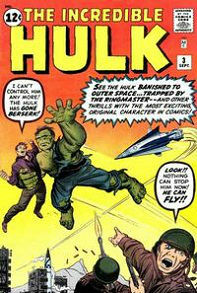 Creator notes: Stan Lee handles all of the writing with a little scripting help from his brother Larry Lieber. Jack Kirby and Steve Dikto handle the art. 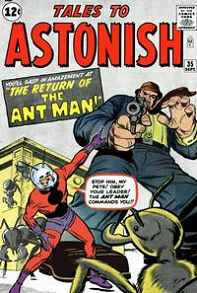 Notable events: Only the start of the Marvel Age of comics! 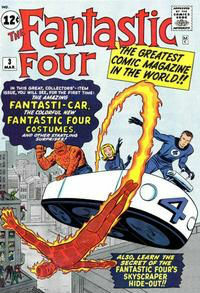 Fantastic Four #1-10 Formation of the FF. 1st Dr. Doom & Puppet Master. 1st Sub-Mariner in modern age.